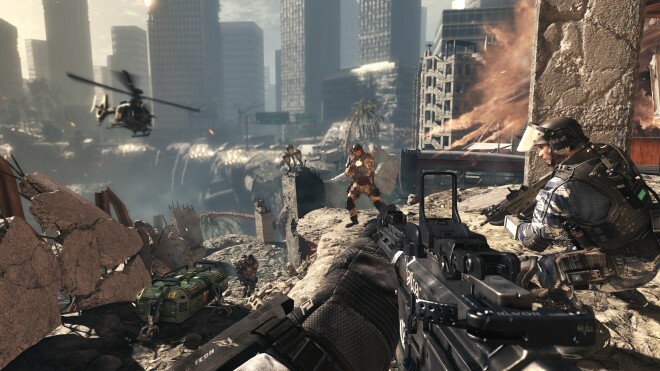 Players attentive to Call of Duty: Ghosts‘ spawning system in game modes like Team Deathmatch may have noticed a few unannounced tweaks in last Monday’s hot fix update. The update’s primary purpose was to tweak Ghosts’ killstreak system in an effort to promote objective play, but Infinity Ward senior community manager, Tina Palacios, announced on Twitter today that a few TDM spawning updates were also thrown in. “Spawn changes are an ongoing, internal testing process,” she said. Followers then asked if any of the updates would be applied to other game modes as well. “We are continuing work at the office and will provide updates as the MP team makes progress,” she replied. You can likely expect more updates from Infinity Ward as they become available. Notice any improvements? Also, what’s the verdict on last Monday’s update? Are objective games more enjoyable with the new Killstreak tweaks?